It’s easier to hit the snooze button and stay in bed for those extra few minutes instead of making a gigantic mess in the kitchen hurrying to make breakfast before you’re late. That’s why I set out to find healthy breakfast ideas that don’t take forever to make. 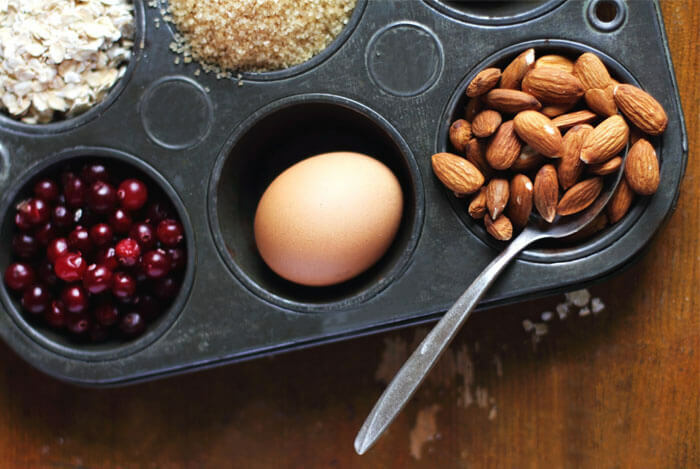 This comprehensive list offers you so many healthy options that you’ll never get bored with the same stale cereal or cardboard waffles again. When it comes to oatmeal, many instant, store-bought packets are loaded with sugars. Sure, the oats were healthy at some point, but it’s easy to overdo your calories with extra toppings. Instead, opt for old-fashioned oats to pack in the most heart healthy benefits. 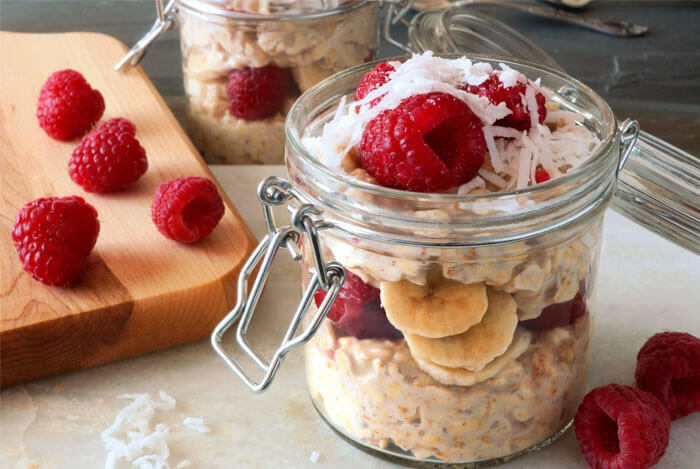 That’s the beauty of overnight oats: you’re using heart healthy, old-fashioned oats, but you’re also saving time by eliminating the cooking process. That’s right. Making overnight oats involves zero cooking. All you have to do is mix equal parts of oats and milk in a container and let it sit in the refrigerator overnight. It’s that easy. If you use mason jars like I do, you can rush out the door and take your overnight oats with you to eat at your desk. My favorite way to make overnight oats is to use about ½ cup of old-fashioned oats with ½ cup of milk. Next, I’ll add some healthy toppings to make it more exciting and less bland. My favorite topping of all time is chia seeds. These bad boys are packed with omega-3 fatty acids, protein, fiber, antioxidants, and minerals in just a small spoonful. If oatmeal doesn’t ever seem to fill you up, add chia seeds. The tiny seeds expand in your stomach, giving you that feeling of feeling full for much longer. To flavor my oatmeal, I add what I have on hand at the time. Toppings like bananas, berries, almond butter, pure maple syrup, cinnamon, and even protein powder all work great. Overnight oats are a wonderful option year round; you can heat them up on chilly winter mornings or have them cold during hot summer months. The only downside to overnight oats is that you can’t make several batches to keep over the course of the week since they don’t tend to stay well. I usually prepare each batch the night before when I know I have a busy morning the following day. Another great way to utilize the nutritional benefits of chia seeds is to create chia pudding the night before. Similar to overnight oats, chia pudding can be enjoyed right out of the refrigerator, which is perfect for warm, summer mornings. You can flavor chia pudding in a variety of different ways so you’ll never have to eat it the same way twice. 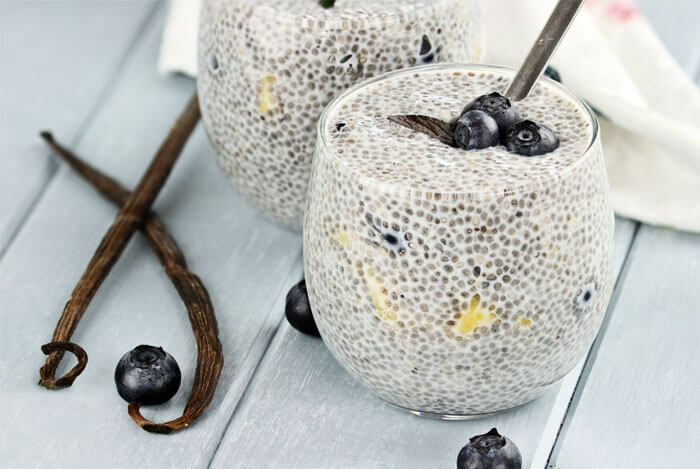 The basic recipe combines ¼ cup of chia seeds with a cup of coconut milk and a ½ tablespoon of your favorite sweetener. Healthy sweeteners like honey or agave nectar work best. Then just leave the mixture refrigerated in a jar overnight. Remember that chia seeds expand in your stomach? During the night, the chia seeds in the mixture actually double in size. The chia seeds and milk combine into a thick gel-like substance similar to the consistency of textured pudding. Chia pudding is both filling and incredibly healthy. Experiment a little to see which flavor combinations are your favorite. If eggs are more your thing in the morning, but you don’t have time to cook them, a breakfast quiche is right up your alley. 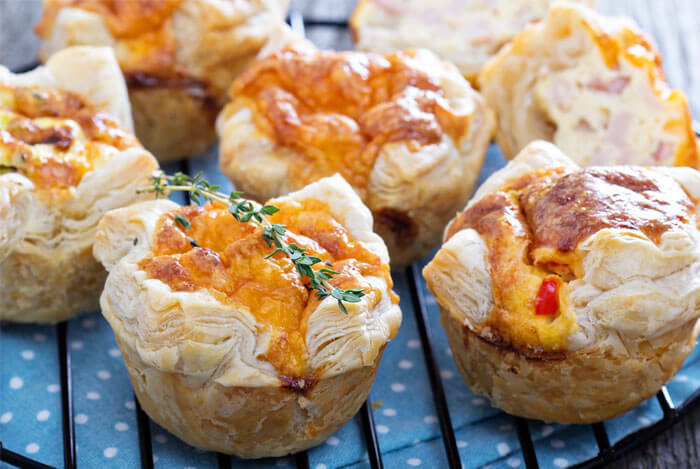 These breakfast quiches can be made using a pie crust, but those extra calories are totally unnecessary so I prefer skipping them altogether. My go-to veggies are spinach, mushrooms, and tomatoes. After you fill your pan, simply bake the quiche at 425 degrees for about 40 minutes. Making this quiche after dinner not only keeps me busy, but I can take care of other things around the house while the quiche cooks. In the morning, I’ll have a healthy option that takes less than 5 minutes to reheat and packs tons of nutritional benefits. I can see why breakfast burritos are a popular breakfast choice: they’re portable, filling, and taste pretty darn good. Your best bet is making breakfast burritos from scratch at home. Don’t worry, making them is easier than you think. First, take out all of your ingredients and put them on the counter in front of you. 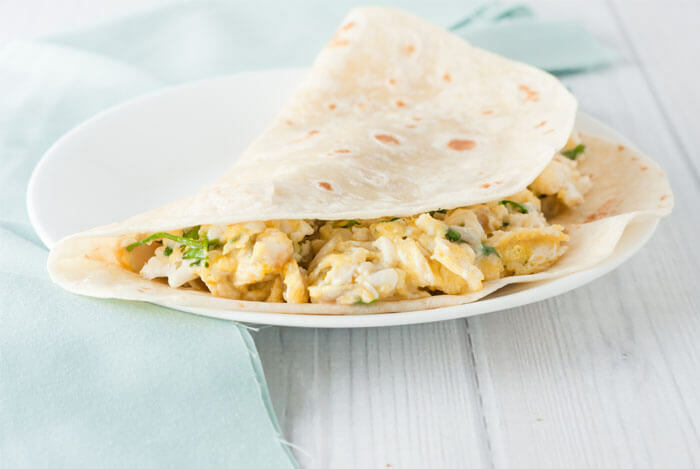 You’ll need eggs, almond milk, low fat cheese, chopped up peppers and onions, whole wheat tortillas, and some salsa. Next, cook up a batch of scrambled eggs by combining the almond milk, eggs, and cheese over low heat. Once the eggs are done, place them on top of the tortillas and add the peppers, onions, and a little bit of salsa before rolling it up. After I’ve rolled a few of these, I individually wrap them and pop them into a freezer safe Ziploc bag. You can make a bunch of these at once and have them waiting for you when you’re running out the door every day. Simply heat and enjoy each morning. Ever stare at the delicious looking yogurt parfaits while you’re waiting in line at Starbucks? I was never really into yogurt, but those Greek yogurt parfaits looked so yummy that I had to investigate further. Greek yogurt has double the amount of protein as regular yogurt, so it’s a smart breakfast option. However, pre-made parfaits like the ones at Starbucks are high in calories and happen to be fairly expensive. Save yourself the calories and money by making your own at home. Not only will you cut out the added calories, but you’ll also save time by not having to wait in a crowded Starbucks line. My easiest recipe? 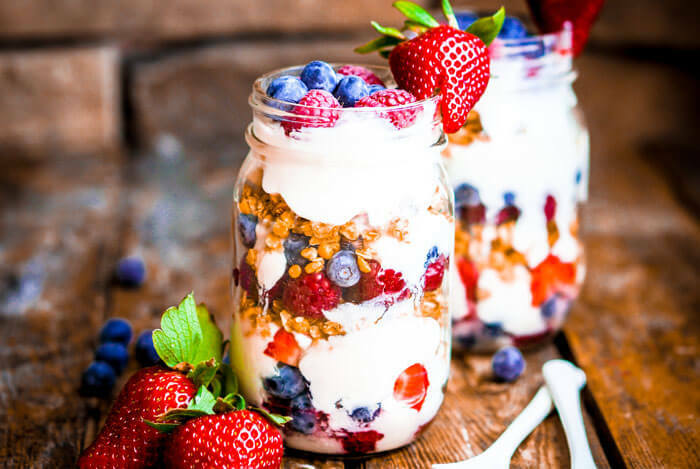 Layer a cup of Fage’s 0% Greek yogurt with some fresh berries, honey, or granola chunks in a jar. According to Muscle for Life, a cup of this yogurt will run you 120 calories for 23 grams of protein, which is pretty impressive. There’s a slight caveat to the parfait – go easy on the honey and granola and choose your toppings wisely. Both products can be high in sugar and if you’re not careful you can easily use more than the serving size. Measure out your portions to avoid turning this healthy option into a high-calorie nightmare. 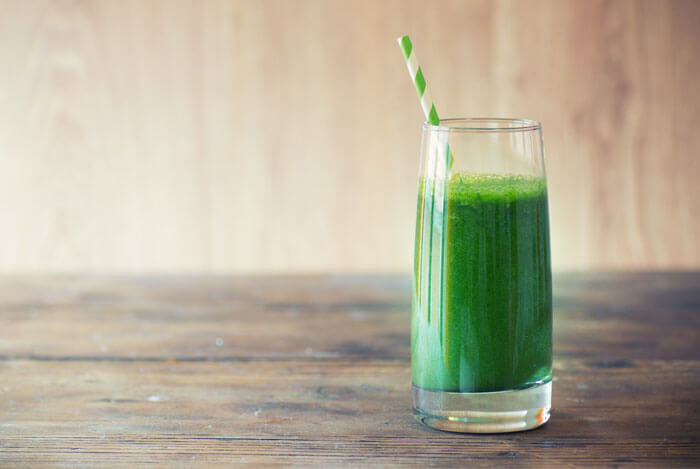 Smoothie packs are another great option if you’re too busy in the mornings to make breakfast. I prepare several of these at night by combining fresh fruit and spinach, then I portion out single servings in sandwich size Ziploc baggies. By morning, all I have to do is add protein powder, ice, yogurt or milk to my blender and then empty the contents of my baggies. I’m good to go in less than five minutes and I have a healthy smoothie to take with me. My favorite combination has to be my banana almond smoothie. When you’re prepping the smoothie packs at night, chop up a banana, add a spoonful of almond butter, ¾ cup of Greek yogurt, one teaspoon of honey, and a pinch of cinnamon to a Ziploc bag and freeze it. The next day, combine this baggie with 1 ½ cups of almond milk and a spoonful of chia seeds. Although these are all great options for someone who only has to worry about a single serving of breakfast, I’ve also experimented with family friendly recipes as well. These large batch options come in handy whether you’re feeding multiple mouths or when you want to meal prep on the weekends and avoid the stress of preparing food during the hectic weekday. All of the following breakfast ideas can be made in large batches. I was a little skeptical when I first saw recipes for eggs baked in muffin pans, but after trying it myself, I was hooked. These are the easiest recipe using a muffin pan, hands down. Similar to the breakfast quiche, all you have to do is scramble a big batch of eggs with some almond milk and your favorite veggies. Once your mixture is properly combined, pour a little bit in each of the muffin slots and bake for 20 minutes at 425 degrees. These bite-sized eggs are like having mini omelettes at your fingertips. You can also freeze the leftovers and reheat them on busy mornings. Veggie egg bites are perfect if presentation doesn’t matter, but if you’re throwing a healthy brunch party, choose the ham, egg, and avocado bites instead. Although they do require a bit of work, the presentation will leave your guests drooling for more. First, make sure you buy round ham slices that are large enough to fit as your base in the muffin slots. Stuff one slice in each slot to form a cup. Next, add either fresh avocado or guacamole, depending on what you have on hand. Scoop a small spoonful into the center of each of your ham cups. Then crack an egg right into the center of every cup. After baking these for 20 minutes at 425 degrees, you’ll have a perfectly cooked egg surrounded by a crispy ham slice. Ham is a much better alternative to greasy bacon and it still gives you the sensation of having savory breakfast meat, but with way fewer calories. 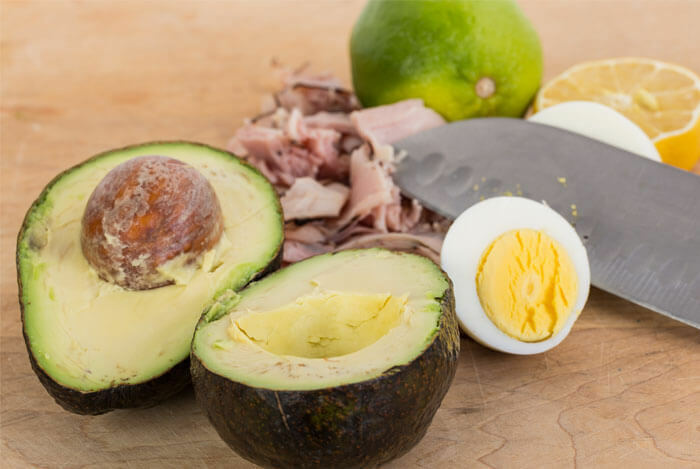 As you cut into the “egg muffin,” watch and delight as the creamy avocado surprises your guests. Every time I make this for a party I always kick myself for not making it more often. It’s that good. If you like your eggs to be more on the hard-boiled side, keep them in the oven just a few minutes longer – 23 minutes tops. When your family needs a break from eating eggs, quinoa bites are just the solution. 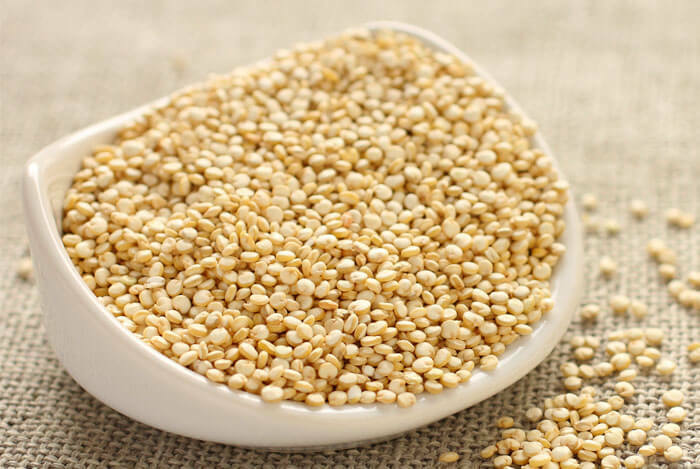 Similar to oatmeal, quinoa leaves you feeling full and satisfied. Plus, it’s packed with some protein to start your morning off right. Although you can mix quinoa with your egg muffin mixtures for a savory breakfast, I prefer a sweeter option similar to oatmeal by mixing apples and bananas. Nicole over at Pumps and Iron says, mix the dry ingredients in a separate bowl from the wet ones and then slowly combine the two. Next, add the quinoa mix to the muffin tins and bake at 375 degrees for about 20 to 25 minutes. These quinoa bites are great for vegans and people who prefer to start their day with the sweeter side of breakfast. Look, I get it. These recipes sound great and all, but sometimes you may not even have ten minutes to spare. I’ve been there, too. So if you’re beyond strapped for time, whip up these three options instead of resorting to a boring slice of toast with a glob of butter. I prefer almond butter over peanut butter. Although both options can be healthy, almond butter has a taste I prefer. 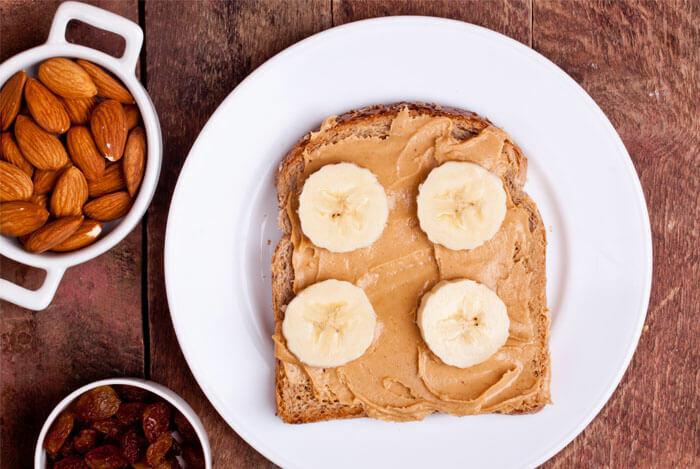 For this simply satisfying slice of toast, spread a spoonful of almond butter onto the toast and add a sliced banana on top. Here’s my super healthy trick: add a sprinkle of chia seeds to your almond butter toast so your breakfast fills you up even longer. The total time to make this is less than five minutes, but it will keep you energized and awake throughout your entire morning. Another one of my go-to toast options involves smoked salmon. This deviates a bit from the traditional eggs and bacon breakfast, but it’s worth it. I slice a small piece of smoked salmon and top it off with cucumbers and purple onions. I know that purple onions may not sound appealing to everyone in the morning, but this is easily one of my favorites and I think you’ll agree. 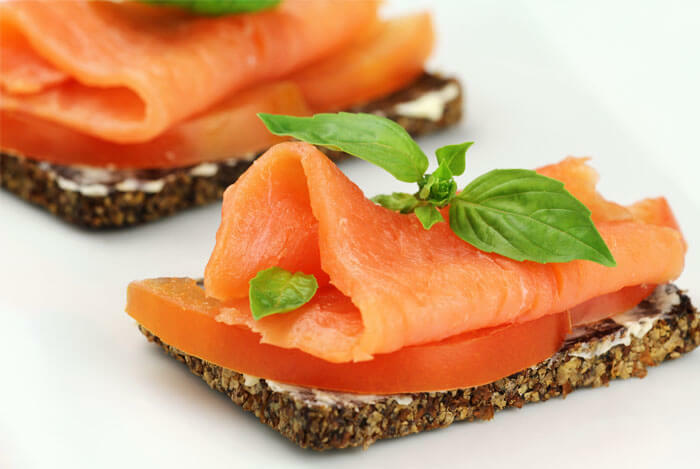 Salmon is loaded with protein, omega-3 fatty acids, and iron. Just a heads up: this breakfast is on the expensive side thanks to the salmon, but it will definitely be a treat. Lastly, one of my fastest and most-filling breakfasts to make is an avocado, egg, and toast combination. 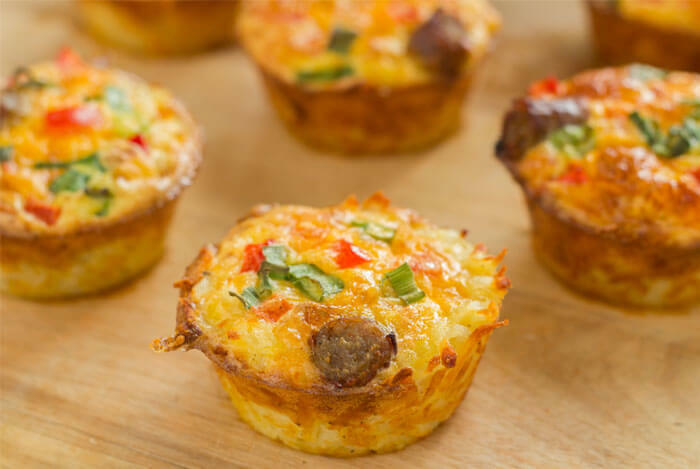 If those breakfasts baked in muffin tins had you interested, but the amount of work involved turned you off, this option is perfect for you. 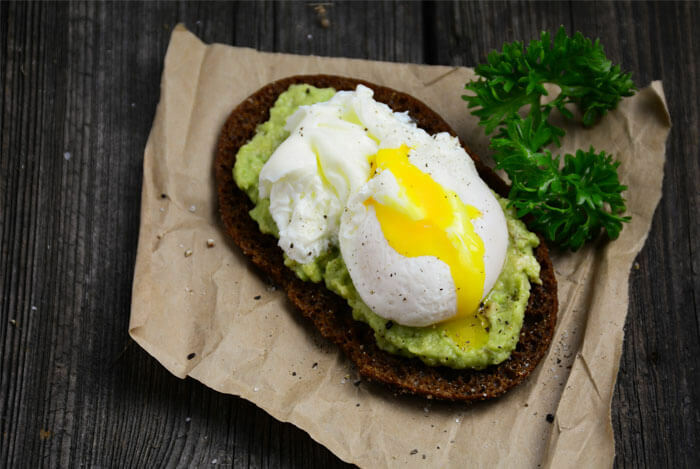 All you have to do is slice an avocado onto a piece of toast and add a sunny-side up egg on top. This simple recipe is so quick to make and keeps you full for hours. You can even add a slice of ham for a bit more protein. 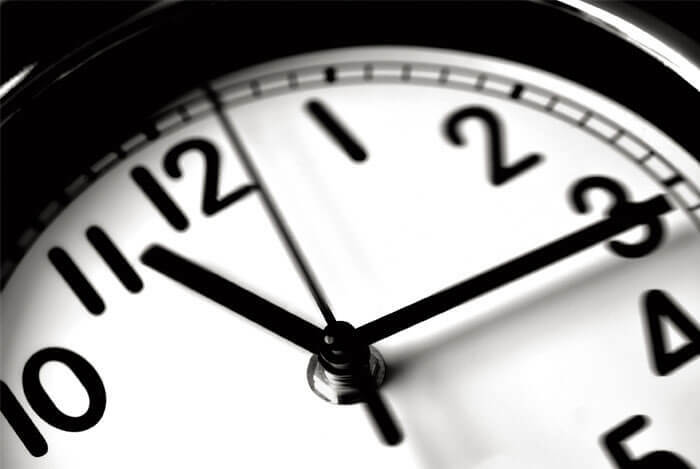 As you can see, time should not limit you to frozen waffles or Pop Tarts. What’s your take on healthy breakfast ideas? Have anything else you’d like to share? Let me know in the comments below!